The 2015 Splash/OOPSLA conference was in Pittsburgh this year, so I took advantage of this fact to go see what the academics had to say about some aspects of what I do every day: program computers to do silly things. Even though I haven't been around academics since I got my PhD half a life ago they seem to be about the same. But like everyone else they carry tiny little computers with them everywhere now. Though they don't seem to know how to use them as well as everyone else. OOPSLA is an old classic among the ACM conferences, having begun when Object Oriented Programming started to capture the imagination of the industry in the 80s. Surprisingly, there are still a lot of people in the world who are deeply interested in looking at the world through the lens of Smalltalk and systems like it. My overly pragmatic view was that surely people were over that by now, and had moved into the modern world of higher order interfaces, type systems and monads. But I guess not. Programmers are people who program computers. Let me get back to you on that after I write a whole book about it. Programmers are people who can effectively visualize and manipulate the dynamic structure of computer programs. But this is a fairly lofty and abstract way to put it. To make it more concrete I'm going to start with something fairly simple as a running example. I'm going to take a bit of a low level turn here, which isn't usually my style, but this has a nice payoff at the end. 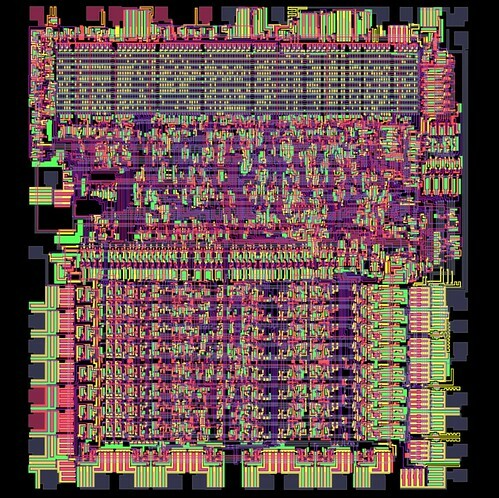 So let's talk about the 6502 CPU. The 6502 CPU is a beloved machine from the past. From the late 70s until the introduction of the IBM PC in the early 1980s it powered most of earliest consumer computing products. The most famous of these, of course, were the Apple II and later the Commodore 64. But there were a few others too. Programming the 6502 is pretty easy. First, there are three special pieces of memory called registers. They are called A, X and Y. These are special only because they are fast. You can use A to do simple arithmetic, and you use X and Y as "indexes" to address memory. But you don't have to know about that. Each register can hold a single value between 0 and 255 (or 0 and 0xff in hex). The label "1" will be used later so we can loop back to that instruction. DEX means "decrement X" and "STX" means "Store X" (LD for load, ST for store). This tells the machine to jump back to the memory location that the label 1 represents, but only if the result of the compare was not zero. If we don't branch we store X into memory location 31 (for no reason) and then hit the BRK instruction which tells the computer to stop. So what we have done is instruct the computer to do some simple math over and over again ("in a loop") until we tell it to stop. Each hex value here is one instruction plus some arguments. Don't worry too much about it. We have written a simple program in a simple language. The program doesn't do much but it illustrates every static fact that you need to know about computer programs. There are constructs to load and store values. There are instructions for simple arithmetic. And most importantly you can use looping and conditionals (CPX, BNE) to express decision making and repetition. With these tools you can now write programs to do anything you want (for why, see this other article). What is also notable about this program is that it takes a fairly compact static form. It's just a few lines of text, and an even smaller amount of binary data. The whole thing can be represented as a fairly small number of bits. But, when you load it into the right kind of machine, you get a cascade of magic which you can capture and actually see the machine do just what you told it to. As the program runs you can watch the gates turn on and off. If you know enough about the hardware you can trace how the all of the data moves through the machine while executing your simple program. For this screen shot I had the machine stopped right after it had stored the value 1 into the memory location $30. You can also see the other 1 right next to it in location $31 from a previous run. Finally, the lower right of the page is a log of everything that the CPU has done in the current session. That's kind of boring, so I won't bother with an image. Anyway, I find this web page to be a mesmerizing work of almost-performance art. Truly a tour de force. But what does it have to do with answering my original question? Step 4: What's the Point? Here is the point. Programs have two forms. I would call them "phases", analogous to phases of matter, but I want to use the word "phase" for something else later in my life so I'm not going to do that. Let's stick with forms. Man, I do this task a lot... maybe I can figure out how to describe it to the machine. Some amount of work and conceptual translation ensues. A program is created which, when run, does something like what the programmer had in her head in step 1 which happens to also make people's lives better and more productive by taking a small amount of tedium out of the world. So the answer to the question "Who are the Programmers" is sort of simple: programmers are the people who can translate things you want done into little pieces of text that do the right things in the machine when the final binary is executed. But the answer is sort of complicated too: in order to be good at programming, the key skill you need is to be able to look at a piece of program text and in some sense predict what the dynamic form of that program will do. Obviously our puny brains can't actually do something like the 6502 simulator above. But what programmers do is to build simpler models or simulations in their mind's eye and use these to efficiently structure and reason about their programs. The good ones get pretty good at this and can efficiently create pretty complicated systems that capture most of what they intended. They can also use these mental skills to fix and enhance the code that they have created in an efficient and systematic way. Perhaps more importantly, the better ones can also quickly absorb what other people's code does, and fix and enhance that too, while staying true to its intended structure. The very best ones can do this on a large scale and create large architectures that can be used by other programmers to make the creation of even more complicated systems possible. These wizards are doing multiple levels of model building and mental visualization. At the static level the programming interfaces they build need to be understandable to their clients and make for code that is pretty and efficient. At the dynamic level they have to be able to predict all the terrible things that people using their code might do, and make the runtime structures hold up under that stress. As you might imagine, this is very hard. I've never been good at it, not very many people are. The 6502 assembler that I used for the example is here: http://skilldrick.github.io/easy6502/. You'll also notice a program there that looks similar to the example program. I always liked tweaking other people's code more than writing my own.